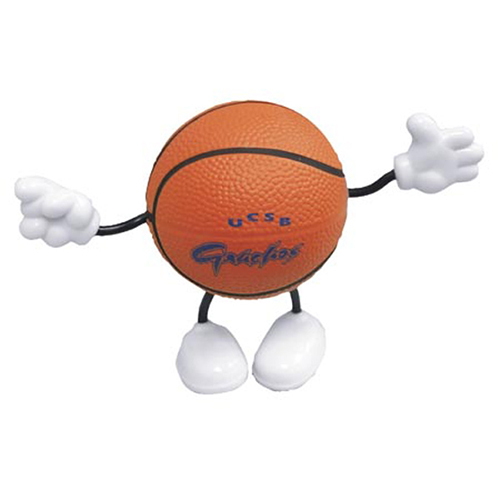 Our Basketball Figure stress ball is ready to score some points for you. You can pose these basketball figure stress relievers and squeeze them to release tension. Put a custom imprint on these basketball figure stress balls and hand them out at tournaments, fund raisers and special events. These basketball figure stress relievers are fun promotions that will run the court for you!